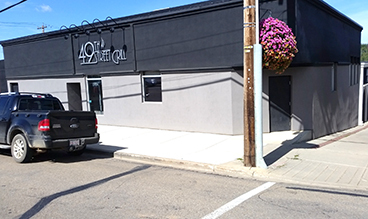 Well known locally for offering some great Greek dishes, 49th Street Grill is a licensed, casual dining restaurant at the corner of 49th Street and 49th Avenue. Steak, pizza, and pasta are all on the menu, plus a children's menu offers portion sizes more suited to smaller stomachs. Anne's large menu, available on their website, has enough variety to accommodate any palate - including a senior's menu and children's menu. With enough seating for 170 people, the restaurant can accommodate bus tours or large meetings. Open 6 days a week. 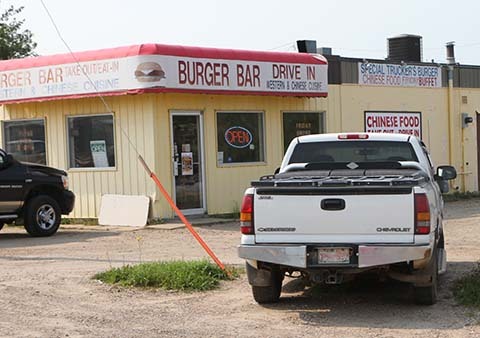 Open seven days a week from 11am to 10pm, the Boyle Burger Bar offers both Western cuisine and a Chinese menu. Visit on Fridays for their lunch buffet and you may not be able to find a seat! 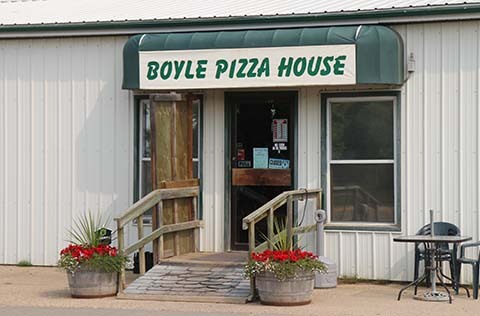 Boyle Pizza House serves great pizza, but they offer pasta, subs, salads, sides, wings, and donairs as well. Food is available to eat in or take out, and delivery is available within the village of Boyle. 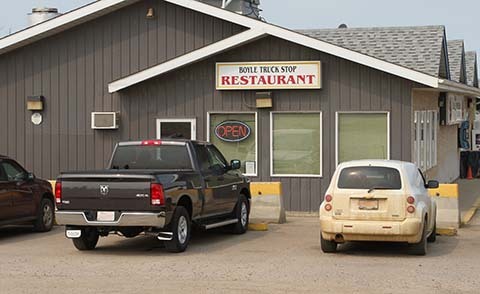 The Boyle Truck Stop serves a variety of Western and Chinese food along with an all-day breakfast. Visit their website to view the full menu. The Eldorado does comfort food right! 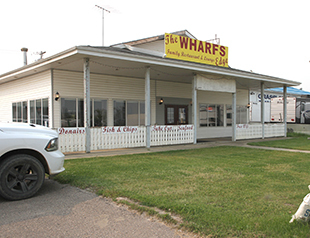 A full menu, daily specials, and great food are served in this licensed restaurant. Draught is available. Check their Facebook page to view their menu. 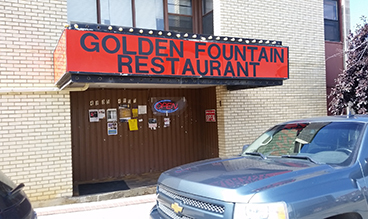 The Fox Den Restaurant specializes in home-made food to satisfy every appetite. The covered deck offers a beautiful view of the golf course - enjoy a drink outside or try one of their daily specials. 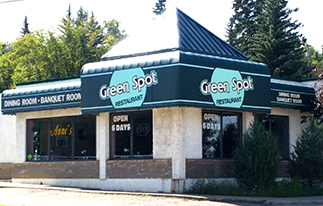 A family style restaurant serving both Canadian and Chinese dishes on its buffet or from its menu. 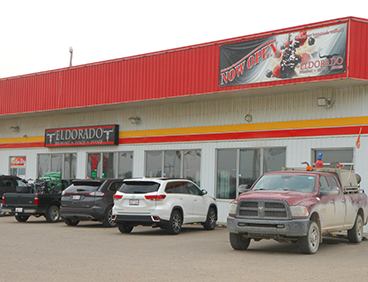 Located at 4905 - 49 Street, Athabasca, AB. Business hours are Monday to Sunday, 11 am to 9 pm. Eat-in or order out for the whole family. The Wharf's Edge Restaurant and Lounge offers a variety of menu items including seafood dishes. Offering daily and weekly specials that can be viewed by visiting their Facebook page, their motto is 'Where the East Meets the West". Stop in for a break from the road and see what they have to offer! 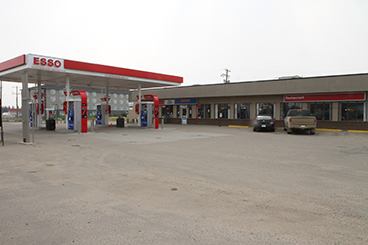 Grassland Esso Family Restaurant is a family owned and operated establishment that has been in business for over 20 years. They serve a variety of delicious home style favorites, from our famous pizzas to mouthwatering steaks and burgers. View their full menu online. 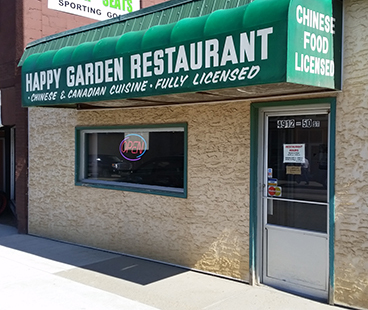 Happy Gardens serves a great mix of Chinese and Western food in downtown Athabasca, available to eat in or take out. Visit them on 50th Street to enjoy their extensive menu. 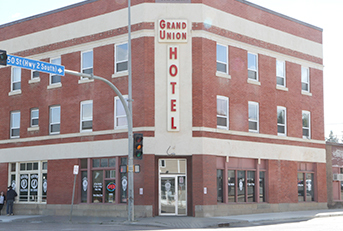 Heritage Grill is located in the historic Grand Union Hotel right on the corner of 50th Avenue and 50th Street in the town of Athabasca. Open from 7am to 10pm, the Heritage Grill is great spot for an early morning breakfast. 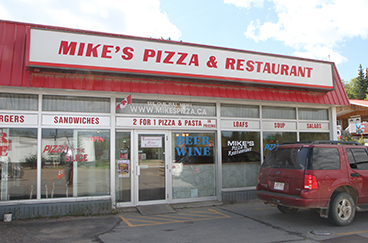 MIke's Pizza offers a full menu, including pizza, burgers, pasta, chicken and beef donairs, sandwiches, and salads. A kid's menu, senior's menu, cheesecake, and cinnamon buns round out the selection. Gluten-free pizza crust is available.